24 foot Seaark, custom interior layout and rod tower designed by me and welded by Rock Proof Boats. 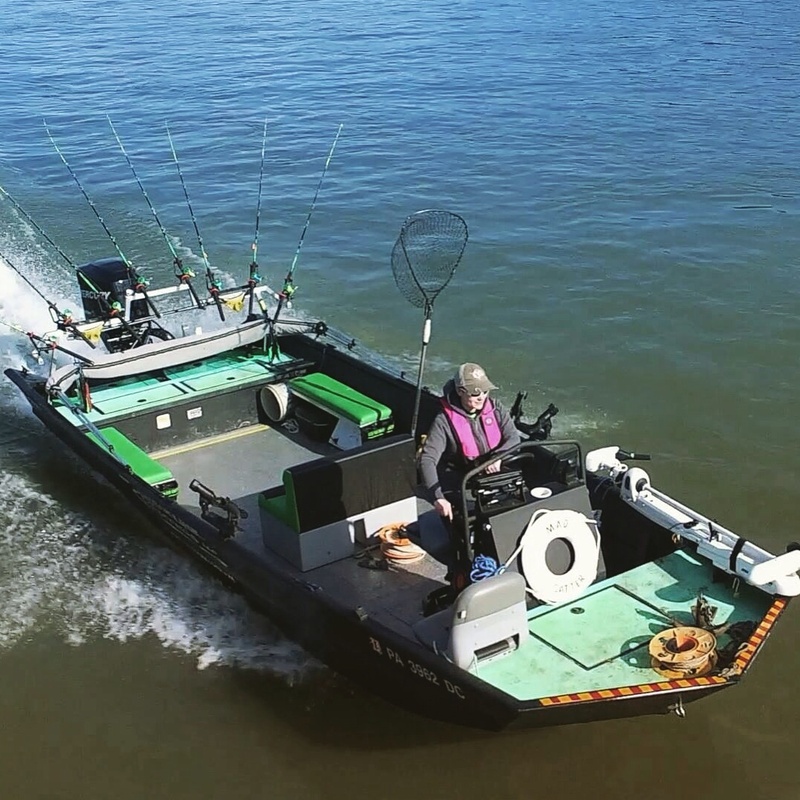 This boat is loaded to the gills. Seats 6 comfortable with padded seats for all. With a 16 person capacity plate, trust that there’s plenty of room for 6. 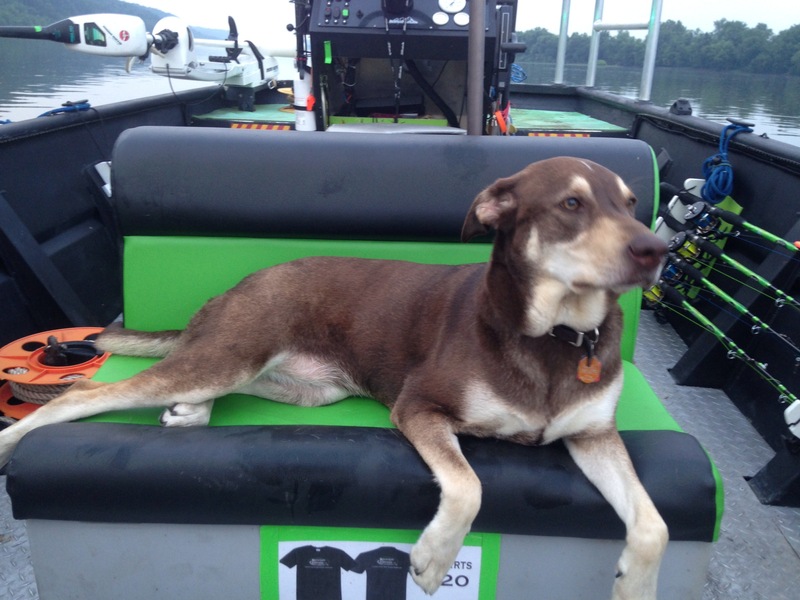 River my pup thinks the seats are comfy. It’s got led lights on the inside, 32 feet of them to be exact. 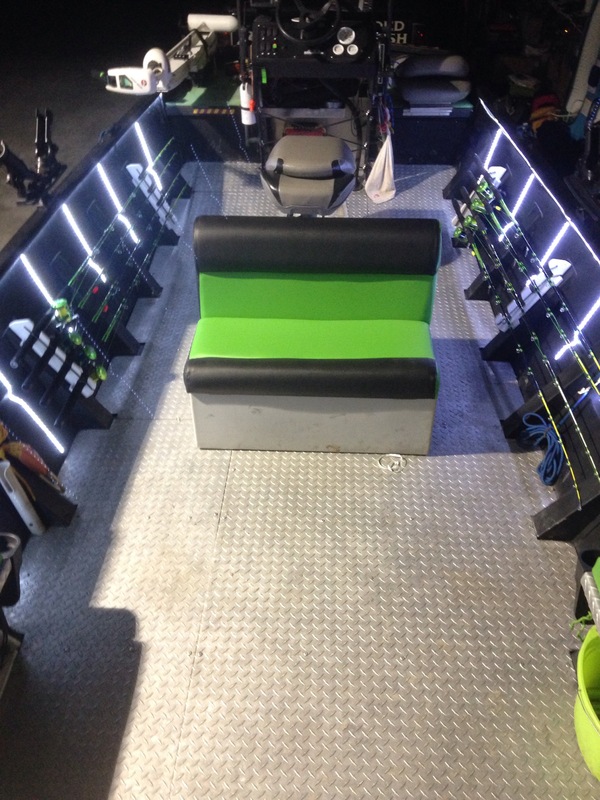 As well as led lights on the outside that turn on and illuminate the area around the boat for netting fish. My business was established in 2010. 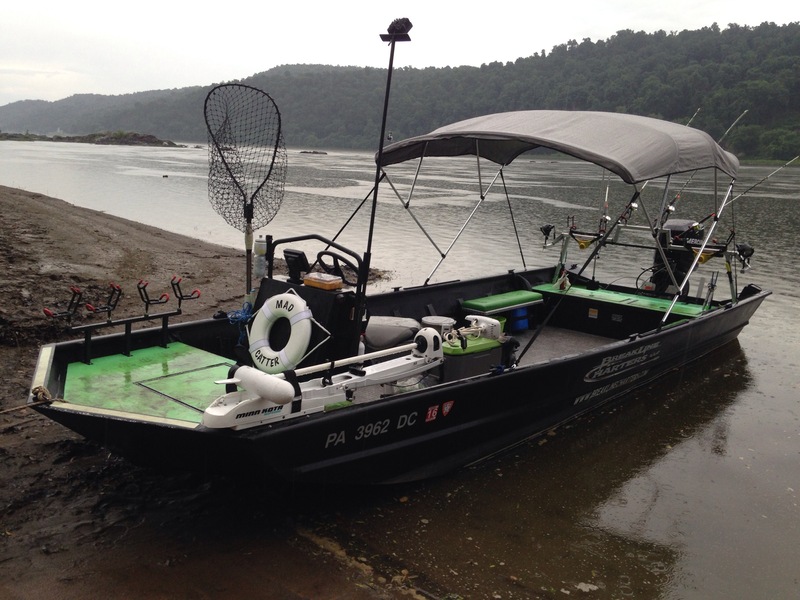 This is my second guide boat. 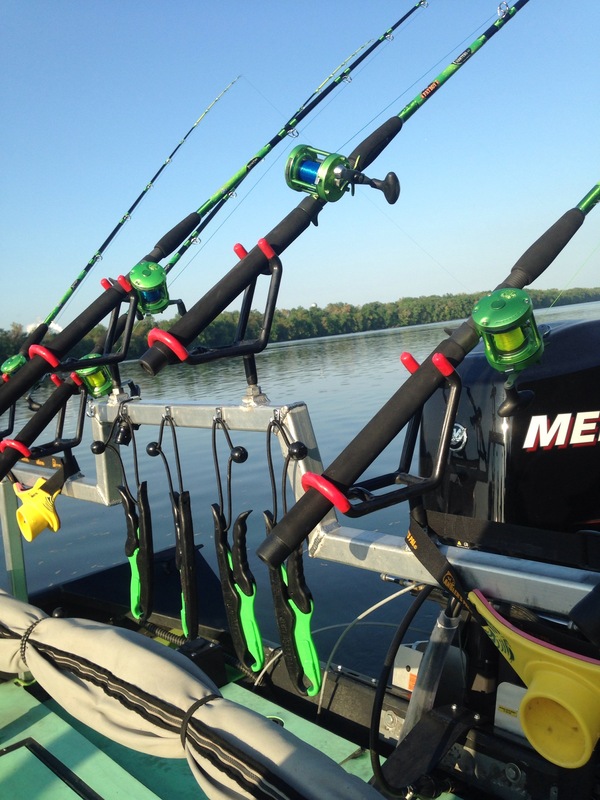 I’ve got the layout dialed in to be great for being comfortable catching cattys on the river.